Vi and Emacs are two great text editors, famous for neverending fan wars between their users. Just type "vi vs emacs" in Google and you will find thousands of web pages full of pure hatred 🙂 If you've been in one of the camps, you're probably missing your favourite editor on the Psion. The good news is that you're one click from it. If you're an Emacs fanatic, visit this site. If you could kill for Vi - this one is for you. Obviously, because of the limitations of Psion machines, these aren't fully functional ports. Zile is a "lightweight Emacs clone" - its installation file weighs 765 KB - and it lacks many of Emacs' "miscellaneous functions". Instead of Emacs Lisp, Zile uses Zile Lisp - its own subset of Emacs Lisp with only basic commands. Vim for Psion is larger (1.8 MB installation file), but - unlike Zile - it an accurate Vim port rather than clone. It is however an ancient version 5.5 of Vim, so those who use version 7 may feel a little confused with the differences. 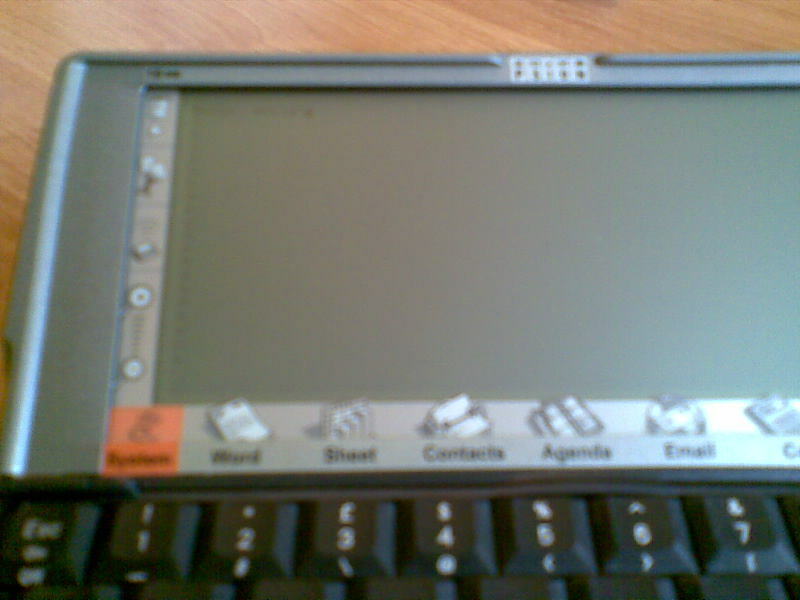 Psion port has also a few drawbacks, e.g. it doesn't appear as an application in the Extras bar and you have to run the EXE file manually. If you want to use Psion's file dialog windows from within Vim, you may install a little plugin (requires Macro5).